So we’ve discussed the basics of a cavalry team, how to build a cavalry team, and how to use a cavalry team. 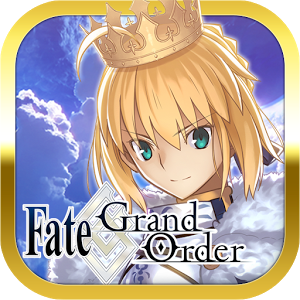 Now, it’s time to choose the units themselves. 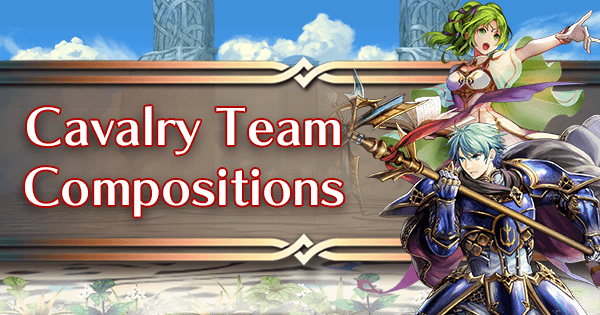 There are a wide selection of cavalry available and only four team slots, so choosing the right ones for you can be a daunting task. The next two pages will provide you with a basic overview of each cavalier available and what they’re capable of. Due to the sheer number of cavaliers available, they are being split over two pages. 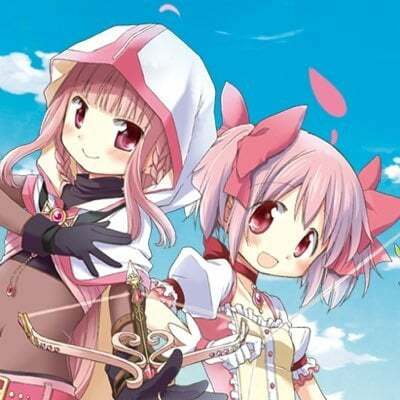 This page will cover melee cavaliers (Sword, Lance, Axe, and Beast) while the next page will cover ranged cavaliers (Tome, Bow, Dagger, and Staff). 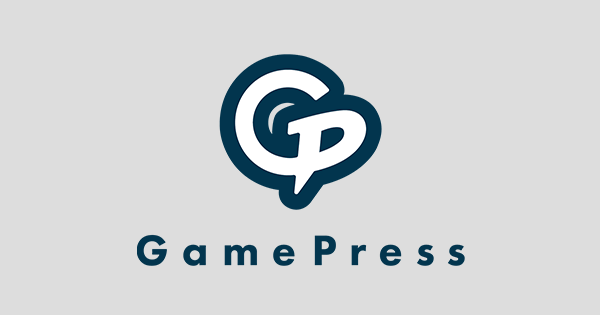 A link to their full page will also be provided if you want a more in-depth look. The Sword Cavaliers are a varied category with many different specific niches, primarily due to the majority of sword cavaliers having a personal weapon available. Many sword cavaliers can perform well both offensively and defensively, with only a few being specialised one way or the other. Ares is a extremely strong contender in the sword category due to availability and raw power. 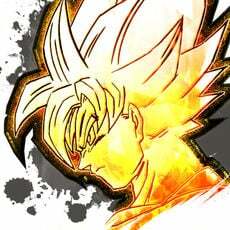 His amazing 36 Attack combined with Dark Mystletainn, his fantastic personal weapon with Special Spiral built-in, make him a potent force on the battlefield, allowing him to consistently activate Special attacks with ease. To make things even better, he’s available at 4 star rarity. Coming with good all-round stats and Heavy Blade built into his weapon, Brave Roy serves as a versatile sword cavalier who can perform great both offensively and defensively. Heavy Blade built into Blazing Durandal is what gives him this versatility, helping his performance in almost any situation. Cain is a very average unit. He does not have a personal weapon, nor does he possess stats that can be considered anything above average. A 32/32 offensive spread and decent physical bulk isn’t going to make him stand out compared to the competition. He is not necessarily a poor choice, but he is inferior to many of the alternatives. 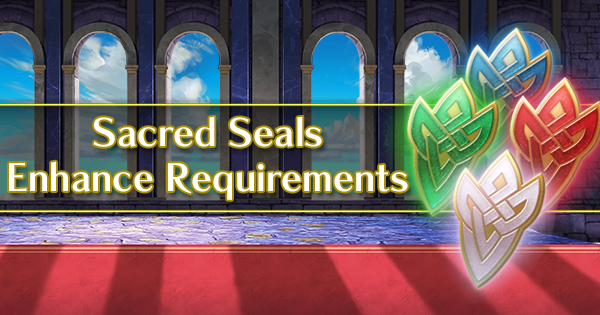 Eldigan has access to not one, but two powerful weapons: His regular Mystletainn which can be refined to grant the Fury skill, or Dark Mystletainn which grants the Special Spiral skill. This freedom of choice, combined with his strong defensive statline of 32 Attack and 34 Defense, makes him a great option. In the past, Eliwood was mostly just an inferior version of Brave Roy, but his refined Durandal changed all that. He has a overall weaker statline, possessing only a 31/30 offensive spread, but his refined Durandal gives him a huge offensive boost and putting his offensive capabilites on part with units like Siegbert. He can also use Blazing Durandal, but with Refined Durandal being so good, one should just use this weapon on Brave Roy. Eliwood also has high Resistance, making him a good choice for Distant Counter. Exalted Chrom is nothing special outside of a cavalry team, but in a cavalry setting, Chrom shines as he has access to Sealed Falchion. This allows him to effectively counter one of cavalry’s biggest weaknesses: Dragons. 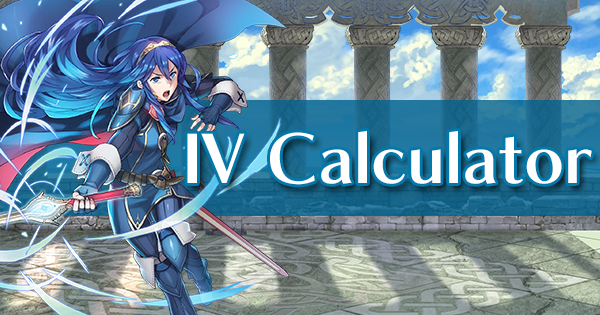 On top of this niche, he is also simply a solid defensive cavalier, helped by Sealed Falchion which boosts his stats when even damaged slightly. A fantastic choice overall. 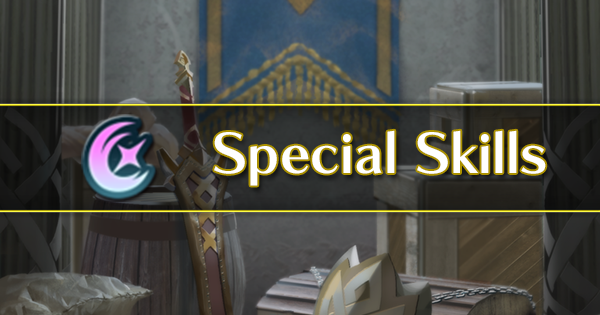 Legendary Eirika possesses amazing potential to deal massive amounts of damage with relative ease, securing her spot as one of the best sword cavalier available. 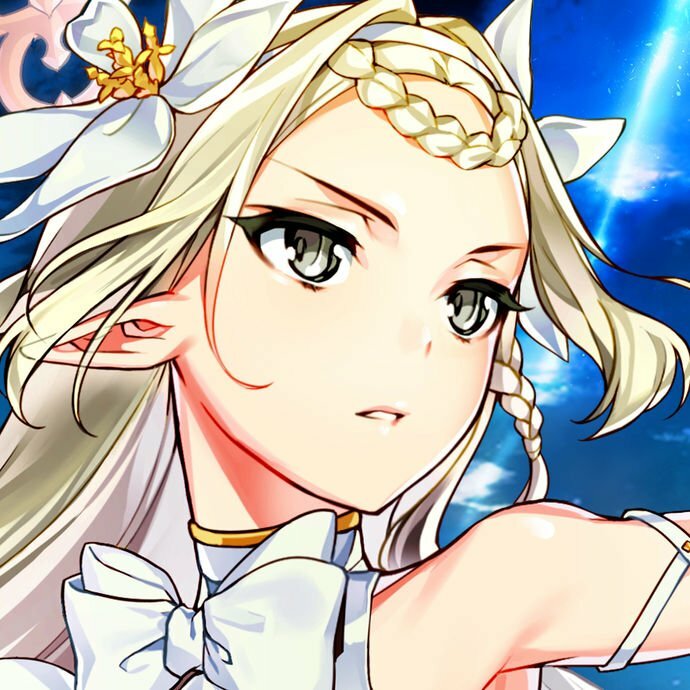 Her strong 31/39 offensive statline combined with her exclusive B slot skill, which boosts the power of her Special by half of the opponents Defense, gives her incredible offensive potential through some of the strongest Special attacks in the entire game. 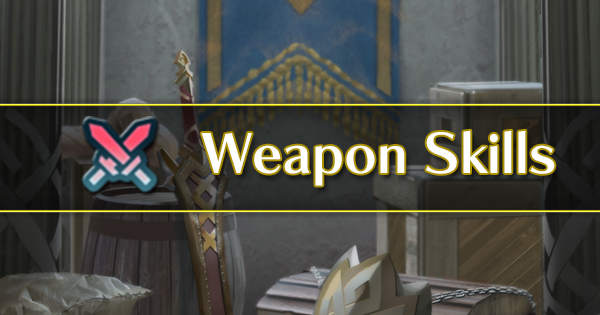 While her weapon is not as ideal as it could be, given it requires Legendary Eirika to be away from her team, her raw power is still undeniable, and unlike Legendary Ephraim, doesn’t even need her weapon to shine, so it can be replaced by a Slaying Edge for easier access to Cavalry buffs and arguably more power. Luke is nothing particularly special, but he does have some good stats. His high 34 Attack makes him a decent offensive option with a Brave Sword. He does also possess solid physical bulk also makes him a good option for a defensive set. With a weapon of impressive raw power, WT Reinhardt stands proud as a extremely strong sword cavalier and one that’s definitely worthy of consideration. Meisterschwert grants him an immediate follow-up attack on both phases, making him an incredibly oppressive unit. This is on top of solid Attack and mixed bulk. 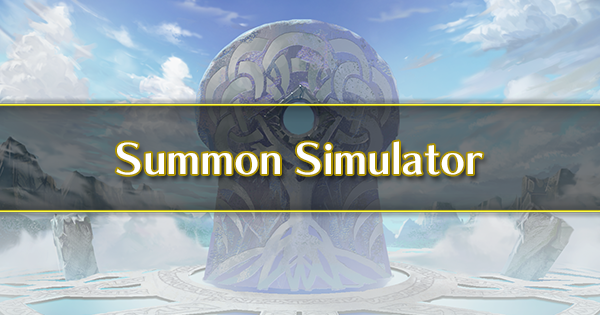 When armed with Distant Counter and Vantage, whoever he faces will be forced to take two powerful attacks before even having a chance to attack. He can also be built for full offensive play, just like the original Reinhardt. Seth is a very average unit, possessing no real weak points but no real strong points either. His Attack, Speed, and Defense are all average, but his lack of standout stats and personal weapon makes him a lackluster choice compared to the opposition. 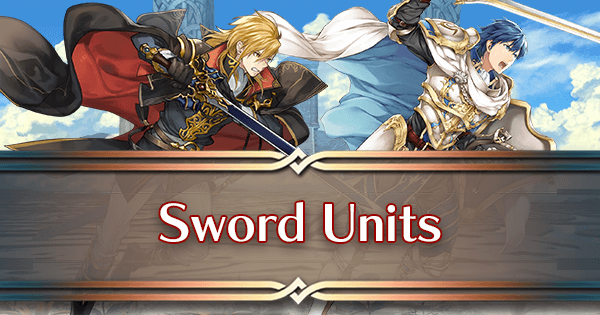 If a offensive sword cavalier is what you’re looking for, Siegbert is an impressive choice. His sword grants him Swift Sparrow, one of the best offensive skills available. On top of this, his offensive 34/35 statline is also great, while also not skimping on physical bulk either. Sigurd is a strong defensive sword cavalier who can tank magic like no other sword cavalier. Despite having 17 Resistance, his personal weapon combined with his personal B slot makes him capable of surviving even prominent blue mages. On top of this, all his other stats are solid too. 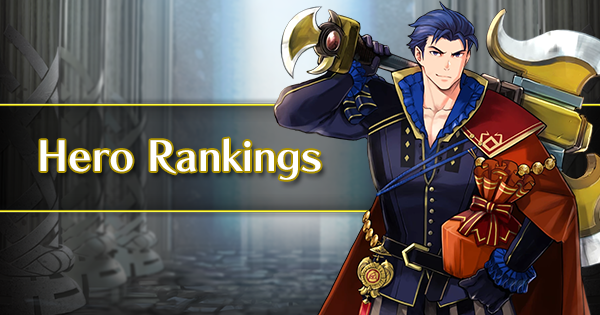 If you want a sword cavalier to act as a solid wall, Sigurd is a top choice. Stahl simply has nothing over any other sword cavalier. His only standout stat is his high 45 HP, with everything else being average at best. On top of this, he has no personal weapon to set himself apart from the majority of other sword cavaliers available. It is difficult to recommend him over any other sword cavalier. Xander is a defensive sword cavalier with a distinctive strength: natural access to Distant Counter. His personal weapon comes by default with said skill, allowing him to immediately start countering archers and mages on enemy phase. This makes him a great choice for newer players or anyone on a budget for Skill Inheritance. He also possesses a solid 37 Defense and a good 32 Attack, further solidifying his presence as a good defensive cavalier. The Lance Cavaliers have many options available. Unfortunately though, quite a few of them are very similar to one another, to the point where they can be almost interchangeable. This is the case with a group of similar lance cavaliers which I will refer to as the ‘generic lance cavaliers’. Still, there are plenty of strong options to choose from. Abel is the first in the generic lance cavalier group, but that doesn’t mean he’s bad by any means. His good 33/32 offensive spread lets him perform well offensively, while also possess decent mixed bulk. He is pretty interchangeable with the other generic lance cavaliers. Berkut is a defensive lance cavalier. He has a great 34 Attack with good physical bulk at 43 HP and 31 Defense. Unfortunately, he is hindered somewhat by his terrible 22 Speed. While his Resistance is below average, his default weapon can grant him a considerable Resistance boost to make for a solid mixed wall. 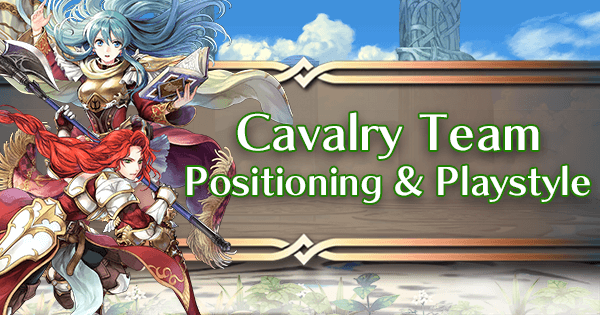 Camus is a strong lance cavalier that can perform well in almost any situation. His weapon comes with Distant Counter built-in, freeing up his A slot for something else while still retaining the ability to fight at range. He also possesses a good 32/33 offensive spread and good physical bulk. 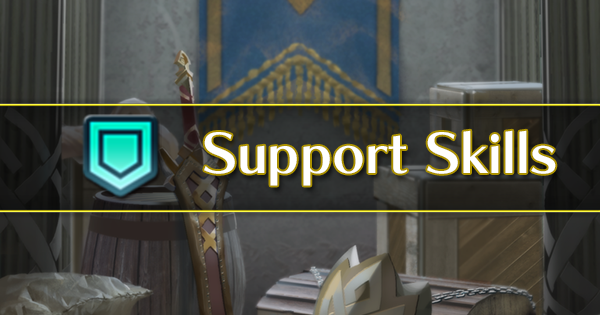 Definitely a recommended promotion for any newcomer in particular. Clive may not have much special about him, but he can serve as a good defensive option. His physical bulk in particular is very good, with 45 HP and 32 Defense. He also comes with a good 33 Attack. He unfortunately pales in comparison to other defensive options, be he’s a serviceable choice. Finn comes with solid stats across the board bar Resistance. His 34/33 offensive spread is great, and he also comes with good physical bulk. He can perform on part with the other generic lance cavaliers, Even with his lack of access to IVs. Oh poor Jagen. Jagen has a very weak statline, with both the worst offensive spread of any lance cavalier and poor physical bulk. 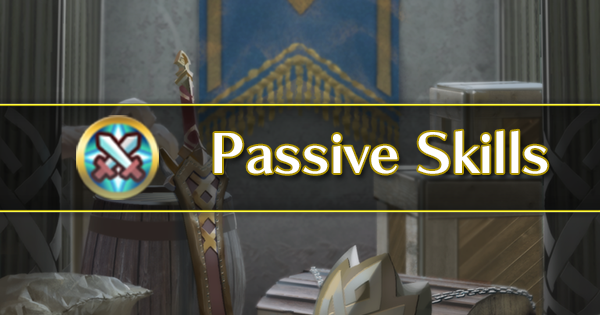 The one thing saving Jagen from complete obsoletion is his very high 35 Resistance. This makes him alright with Distant Counter for a mage counter, but Peri can perform this role much better. The ultimate divisive cavalier, Legendary Ephraim is difficult to rank. On one hand, his weapon combined with his solid 36 Attack gives him the highest raw combat potential of all lance cavaliers. 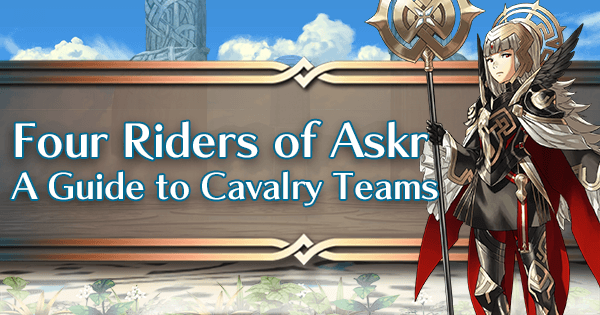 On the other hand however, the restrictive requirement of Flame Siegmund goes against one of a cavalry team’s fundamental principles, sticking together to keep buffs. While his consistency is shaky, his raw combat potential cannot be ignored. Mathilda is a rarity among the lance cavaliers, focusing on magical bulk over all else. Her Resistance is very high at 34, which can be buffed up much further to exceed even 50 Resistance. Unfortunately, the rest of her stats leave a lot to be desired, coming with a below average 29/32 offensive spread and poor physical bulk. 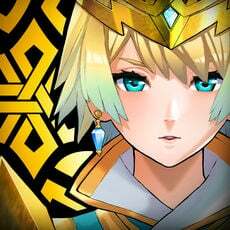 New Year Laegjarn is pretty similar to another TT lance Cav: Finn. She comes with less Attack than him, but more Speed and Defense. 32/35 is pretty good for an offensive spread and 35 Defense is nothing to scoff at either. She’s roughly on par with Finn and the other generic lance cavs, even without IVs. Another member of the generic lance cavalier group, Oscar is arguably the strongest of the lot. He has the strongest offensive statline in this group, with 33 Attack and 34 Speed. He also comes with good physical bulk. All in all, if you want to go with a member of the generic lance cavalier group, Oscar is the personal recommendation. Peri is a standout within the generic lance cavalier group. Her offensive spread of 33/33 is very good, but the standout stat is her good Resistance of 30, making her a good option for a defensive Distant Counter set. 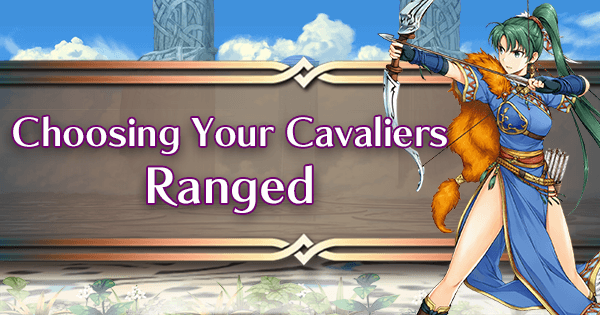 Besides this, she performs relatively on par with the other generic lance cavaliers. Quan is a defensive lance cavalier, and a solid one at that. His personal weapon grants him bonus Attack and Defense against any non-flier opponent, helping his defensive capabilities. He also comes with an incredible 37 Attack, making him capable of even running an offensive build with a Brave Lance. Roderick is another member of the generic lance cavalier group. He comes with a good 31/34 offensive spread and alright bulk across the board. While he is arguably the weakest cavalier in this group, he is still more than capable of performing well. If a defensive lance cavalier is what you’re looking for, Silas is a strong contender. While he has nothing particularly unique, he makes up for it with simply strong stats. Namely, his 40 HP and 36 Defense, giving him great physical bulk. His Speed and Resistance are both lacking however, so caution should be taken around mages. Even then, with Berkut’s Lance, Silas can make for a good mixed wall. While Spring Xander does possess good physical bulk, everything else about him is lackluster. 40 HP and 35 Defense makes him perform well defensively against physical threats, but he suffers majorly from a poor 25/28 offensive spread. Among the defensive lance cavaliers, Spring Xander is one of the weaker options. Sully suffers from a rather unfortunate statline. Her 34 Speed and 42 HP are good, but that’s where the good points end. Her defenses on both end are poor, and her low Attack of 26 hinders what offensive potential she might’ve had. There’s little reason to use her over the generic lance cavaliers. 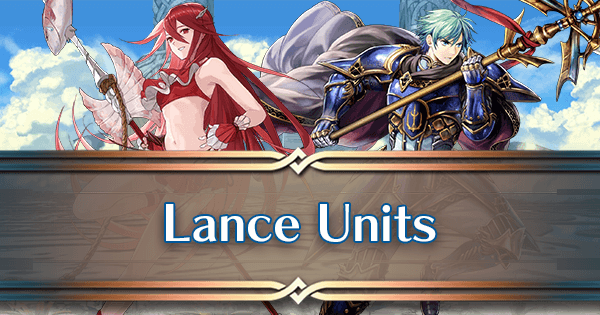 Summer Cordelia sets herself apart from the generic lance cavaliers in a major way: her Speed stat. 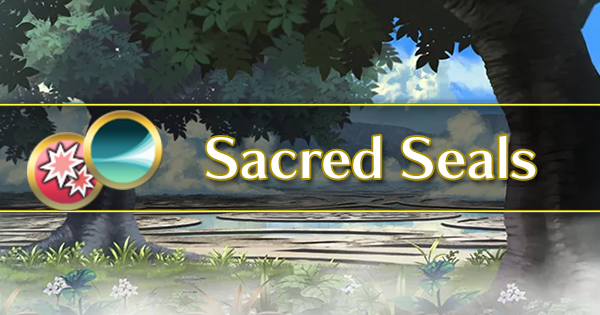 Coming in with a blistering 38 Speed and a good 32 Attack, Summer Cordelia possesses an excellent offensive spread. On top of this, she even possesses solid physical bulk with 41 HP and 28 Defense. She is a very consistent option and one of the best choices for a lance cavalier. The Axe Cavaliers are a fairly underwhelming class overall. While the options here range from alright to good, there is nobody who stands out at amazing. Most of these are defensive-oriented, with some capable of doing offensive play. Frederick is one of the standout axe cavaliers, coming with solid stats that make him well suited to a defensive playstyle. 43 HP and 36 Defense secure his place as a solid physical wall. He also has a great 35 Attack, making him also capable of running offensively with a Brave Axe. Groom Marth can perform quite well thanks to a solid mix of stats. His offensive spread of 31/36 is pretty good. While he doesn’t hit as hard as other axe cavaliers, his high Speed makes up for it. He also possesses solid physical bulk too, helped further by his great Speed. While Gunter is outclassed by his competition, he’s not necessarily terrible. He comes with a decent 32 Attack and 33 Defense, making him alright defensively. Unfortunately, there is little reason to use him over Frederick, who is better in every stat bar Resistance. 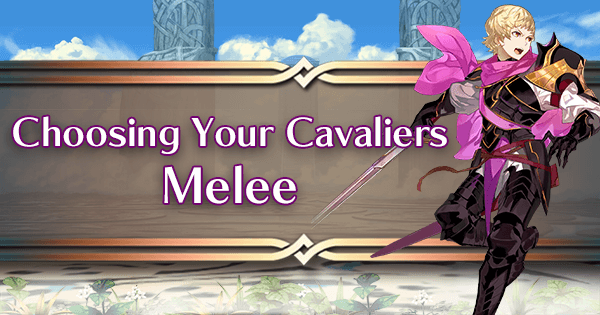 Spring Alfonse is another standout axe cavalier, and is arguably the best axe cavalier available if one wants one for their team. He comes with a solid 35/33 offensive spread, strictly better than Frederick offensively thanks to having much more Speed. He is weaker than Frederick defensively though, but Spring Alfonse still possesses good physical bulk. 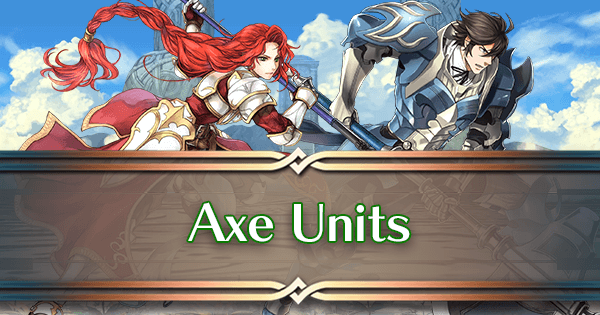 Titania is very unique within the axe cavalier category, focusing primarily on magical bulk over physical bulk. She has a great Resistance stat of 30, making her a solid choice for a mage counter with Distant Counter. She also possesses great Speed at 34. Unfortunately, she suffers from very low Attack and a poor personal weapon which would optimally be replaced in most scenarios. Walhart is a defensive axe cavalier, very similar statwise to Frederick. His lack of access to IVs actually hardly affects him in comparison to Frederick and the two are pretty much on par with each other. His personal weapon doesn’t help him too much, suffering from requiring to be away from his team in order to consistently activate, so one might want to opt for a different weapon. Transforming units are an extremely new concept to cavaliers. 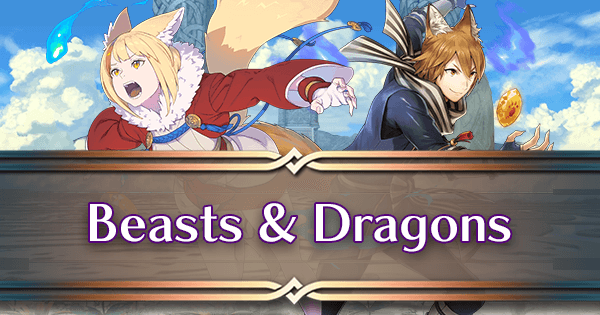 While no cavalry dragons are presently available, a small selection of beasts can now be acquired and utilized, all of which being great. Something worth noting is that cavalry buffs will mostly make up for a lack of transformation with beasts, so don’t be scared to sacrifice their transformed state to give them a full range of cavalry buffs if need be. Within the cavaliers, Kaden has undisputable unrivalled support capabilities when it comes to stat buffs. 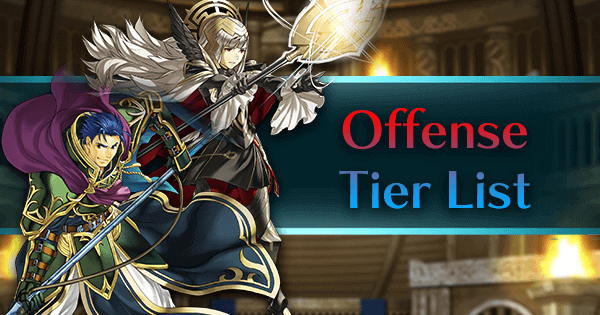 His weapon, which transfers his Field buffs and turns them into combat buffs that he can give to nearby teammates, is absolutely fantastic and makes him a fantastic partner for any defensive cavaliers in particular. Offensive cavaliers struggle more to benefit from his support, but they are still more than capable of doing so. His support capabilities alone carries Kaden to the top of the food chain for not just beasts, but green cavaliers in general. The only thing holding him back from being practically perfect is he’s not the strongest when it comes to actual combat, though he can still fight effectively. Panne is a blue beast that can perform with great effectiveness. While her statline appears mediocre, possessing 29/34 offenses and a fairly good 27 Defense, she is able to hold her own thanks to her great weapon that grants her cavalry effective damage and a bonus to stats whenever she has no adjacent ally or an adjacent beast. Overall, a great choice, especially given she’s free. Selkie is very interesting. She’s a blue beast with a rather interesting specialisation into Resistance. This fits perfectly with her weapon that buffs all of her stats based on how much her Resistance is higher than her opponents. However, the fact that this weapon only activates against melee units and that her raw stats are pretty unimpressive hinder her somewhat. Still though, Selkie’s capabilities are undeniable.